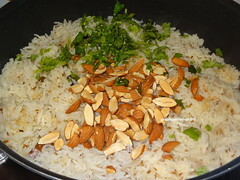 I have posted Jeera rice, cranberry and nuts rice before. 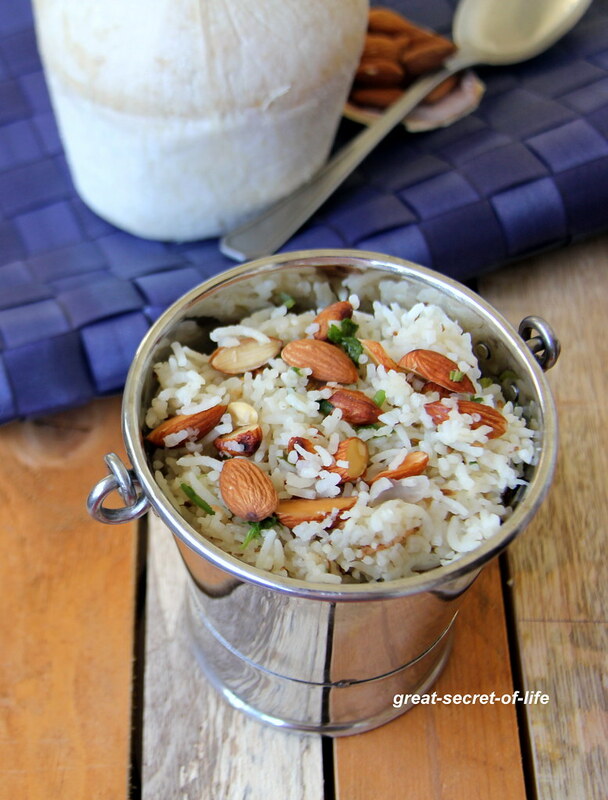 Jeera rice is very simple to make and is so flavourful. It also goes well with a lot of dishes. 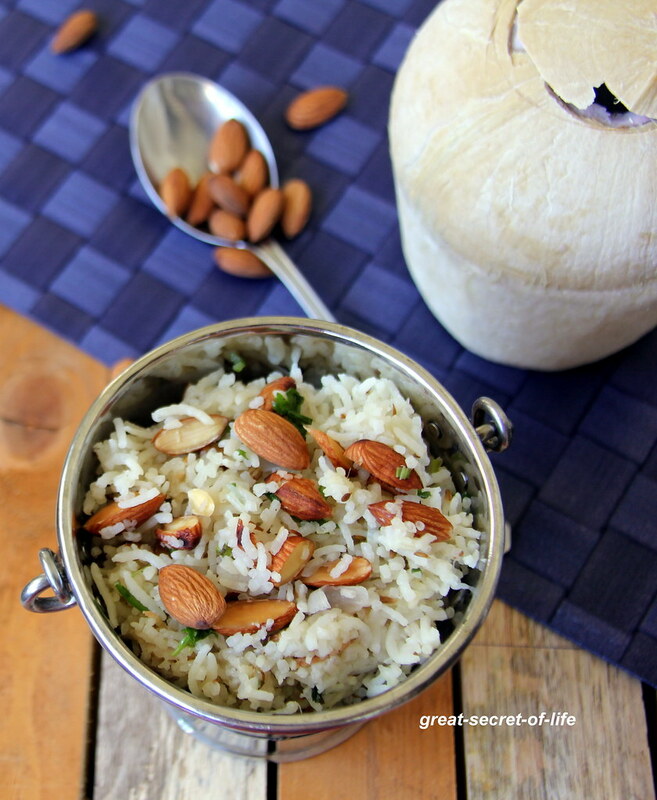 This time I wanted to try Jeera rice with Almond. I tried this when visited my friend during sometime ago. 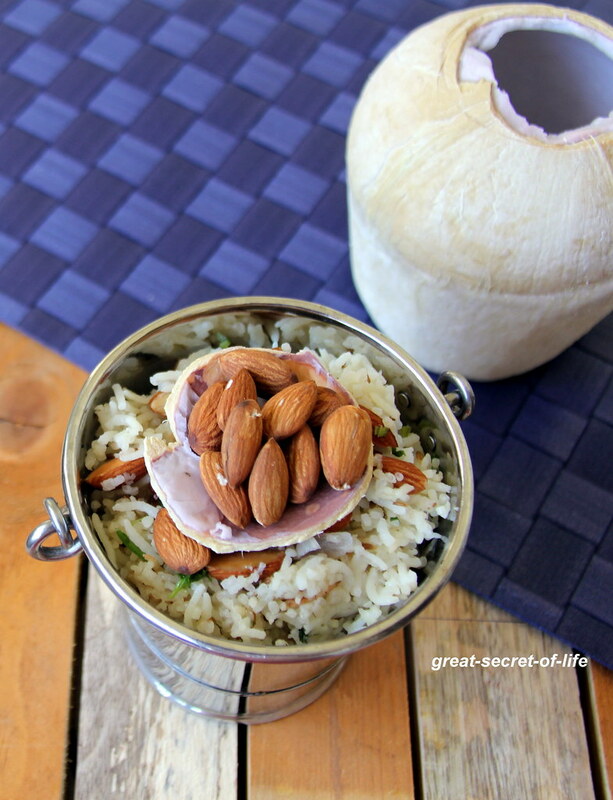 It is a really nice healthy combo and the addition of nuts provide balanced nutrition. 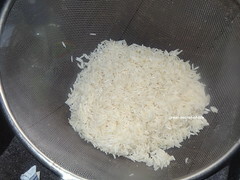 Wash and soak the basmati rice for 10 mins. Drain keep it aside. Heat the Oil in a kada. 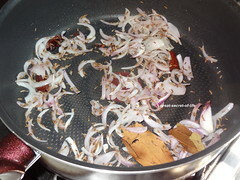 When the oil is hot add Cinnamon, Cloves,aniseed, cardamom and fry till nice aroma comes. Add Cumin seeds and let it crackle. 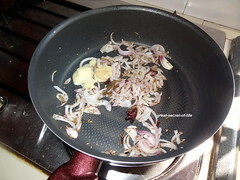 Add onion and fry till it is slight brown in color. 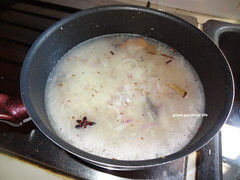 Add ginger garlic paste and fry for a min. 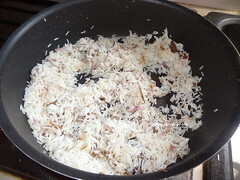 Add rice and fry for a min. Thats one wholesome meal!! love the bucket!! Addition of almond sounds interesting.. Nice one..